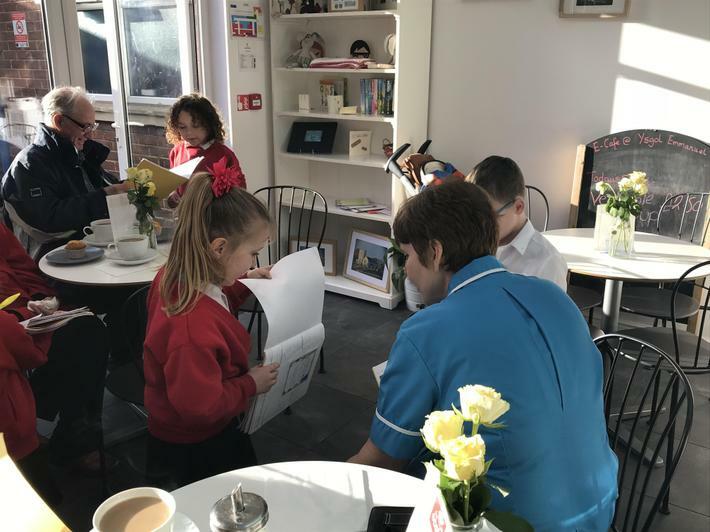 Our friends from Preswylfa care home came and visited us in the café. Once a month we have visits from Julia and the residents from Preswylfa, who join us for a hot drink and a homemade cake. 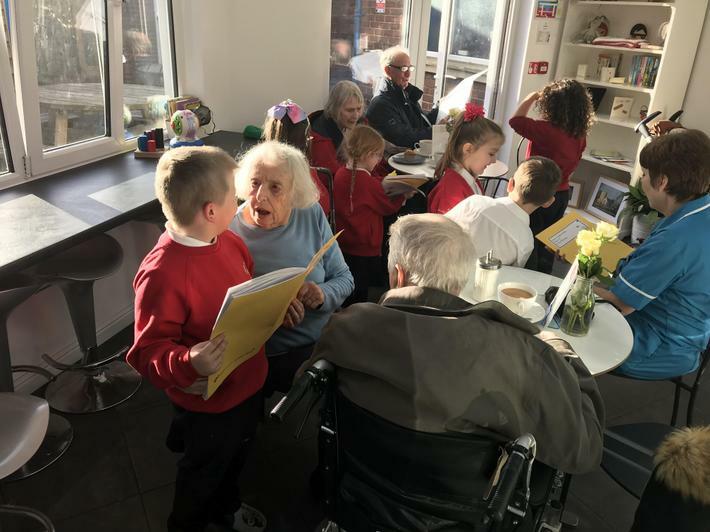 Our pupils take turns speaking to the residents, having a chat about the work they have been doing in school and showing the residents their books. The residents are all very kind and supportive of our pupils and always praise their beautiful work. 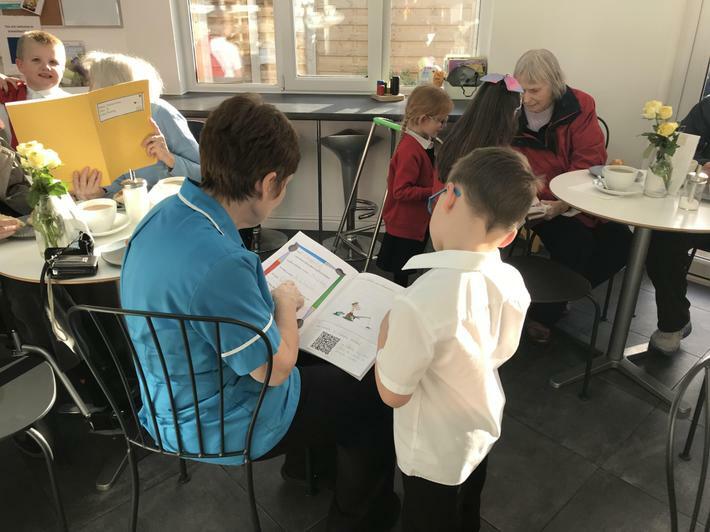 It is a great opportunity for our pupils to engage with the elderly community. Here are some photographs from our most recent visit. 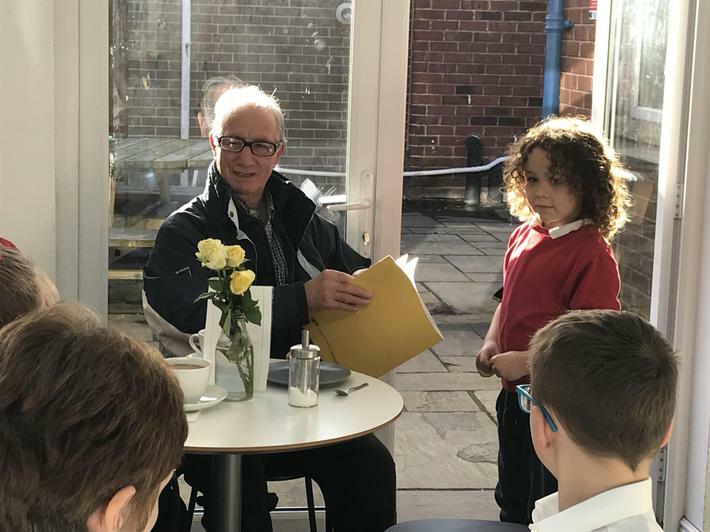 Year 1E pupils came and chatted to their new friends, showing the residents their work and learning about what school was like when they were younger. It was a wonderful afternoon enjoyed by all. We look forward to seeing them again very soon!